We finished the holiday by car, going to see our friends Kathleen & Tom in La Crosse. It was strange to be on four wheels instead of two. Pros: Keeping dry and cool. Cons: No longer enjoying the countryside as much. 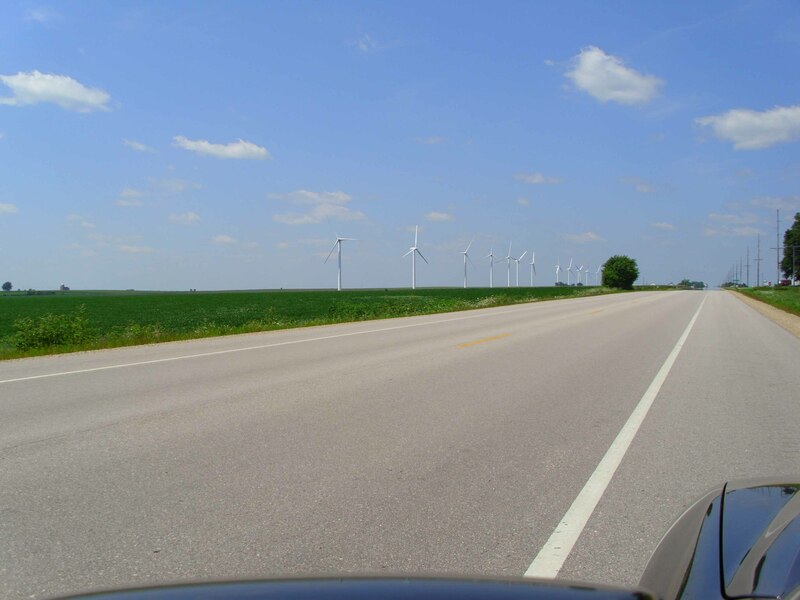 Here we’re passing one of the many windfarms in the USA. I’m astonished that most Europeans seem to think that Americans don’t go in for renewable energy. This one in Wisconsin has only 20 towers – quite small compared with those we’ve seen in Nebraska, but very substantial by UK standards.